Can we agree that we all want to look good, feel good, and live a long healthy life? Yes! We know that it is up to us to make this happen, but unfortunately this can sometimes be confusing, unpleasant and even frustrating. Even the best of us need support. Here at Grace Space Hypnosis, we are excited to share that we now offer nutrition as an additional service through an international partnership with farm-to-capsule, plant concentrates! Plant concentrates simply bridge the gap between what we eat and what we should eat by flooding the body with 30 vegetables, fruits and berries every day all for just $2.00 and some change a day. We should continue to try and eat raw fruits and vegetables, but plant concentrates offer even the best eaters a nutritional edge, and those who struggle eating large quantities of raw fruits and vegetables some health insurance. Kids 4+ get it free through our Children’s Health Program! Getting started is simple. You can start the road to better whole body health by coupling any hypnosis recording or 1-on-1 hypnosis along with taking plant concentrates daily which ensures better health the same way eating a rich variety of 30 raw, non-GMO, farm grown, fruits and vegetables every day would! If you’re really looking to press the reset button on your health, you can join our Mind Body Detox led by our Health Food Agent! This monthly detox includes the plant concentrates, delicious plant-based shake mix, a few guidelines, and a supportive community that does the detox together in a private group. Enhance your results by coupling any one of our detox, be healthy, weight loss or food addiction related hypnosis recordings! To reserve your spot, just email info@gshypnosis.com with the subject: “Interested in MindBody Detox” and we’ll sign you up! What we eat can either work with or against our hypnosis goals. If we are nutrient deficient then we are not functioning at our highest potential. The lack of nutrition and a low phytonutrient level can leave us nutritionally depleted and unprotected from chronic inflammation or oxidative stress, putting us at risk for any ill condition related to the body and mind. These conditions could range from pesky digestive issues, lowered immune system, inflammation, achy joints, chronic migraines, inability to focus, chronic fatigue, inability to release unhealthy weight or drop a sugar craving, to hormonal imbalances. There is a clear connection between nutrition, the body, and the mind; these work synergistically together. Eating plants is critical to the health of our mind and body because plants are filled with thousands of phytonutrients – the only element on earth that can scrub out toxins, reduce inflammation and offer protection from aging and illness (oxidative stress). But let’s be realistic. Eating the recommended 7-13 servings of raw produce every day can be challenging even for the best eaters! Whether you are a busy parent, a entrepreneur working on a startup, an explorer, an artist pouring your time into your craft, or a professional working with clients or patients; most of us have other things on our mind besides chopping and cleaning 10 servings worth of fruits and vegetables. What causes oxidative stress & inflammation? Every time we inhale and exhale we burn oxygen that fuels us. The exchange of oxygen causes a natural reaction called oxidation or cellular rusting. Overtime oxidation is the root cause of aging. We can also be exposed to factors that cause additional oxidative stress which accelerates the aging process and puts at risk for ailments, illness and disease. Physical and mental ailments can be tied back to oxidative stress and inflammation. So when someone is dealing with an unfavorable physical or even mental issue, it can be helped by reducing the inflammation and oxidative stress in the body and mind. The causes of oxidative stress are but not limited to: Cigarette smoking, insufficient antioxidants, chronic physiological or emotional stress, ozone, radiation, environmental toxins (mold, pollution, toxic topical care, pesticides) infections, over exercise without recovery and industrial vegetable oils. Many people who suffer from chronic physical problems or mental health problems turn to hypnosis which research supports reducing inflammation. We can enhance hypnosis by offering protection, prevention and healing from inflammation with amazing, quality nutrition with these plant concentrates! Hypno-Nutrition is a way to fast track results and balanced wellness. We are excited to couple our hypnosis resources and nutrition tools to others globally. We currently can provide nutrition via plant concentrates to the following countries: Australia, Austria, Belgium, Canada, Denmark, Finland, France, Germany, Holland, Ireland, Israel, Italy, Luxembourg, Malaysia, New Zealand, Norway, Poland, Singapore, Spain, Sweden, Switzerland, and the United Kingdom. If you have questions regarding the plant concentrates or would like a health consultation you can contact our Health Food Agent today at info@gshypnosis.com. “There is a clear connection between nutrition, the body, and the mind; these work synergistically together.” I love the idea of connecting nutrition with hypnosis to get the body and mind working synergistically together! I used to start every morning with a green drink and I was just thinking this morning that it has been awhile! I forget how much my body craves greens and perhaps I should look into simpler ways to get her what she needs! Thanks for letting us know one option. I love the term “hypno-nutrition” – what a wonderful way to think about our overall health. Everything we put into our bodies helps us create what comes out. Learning ways to improve our health by ingesting what we need to heal is so important. Wow! Its really cool that they could pack 30 servings of fruits and veggies into a little capsule! This is a very interesting way to boost nutrition while making other changes during hypnosis in order to create a full mind/body transformation. I’ll definitely be looking into the research on this!! 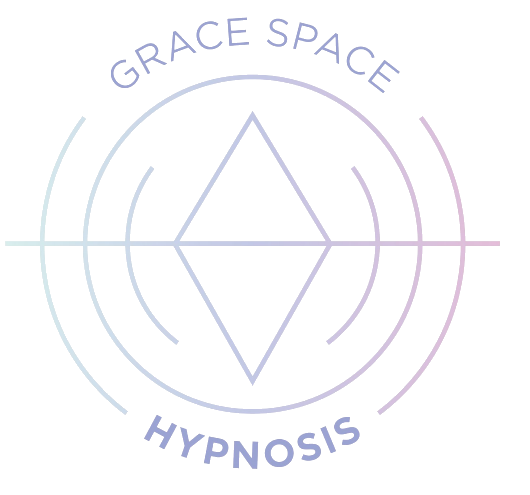 Kudo’s to Grace Space Hypnosis for having made this very important information, (along with product connection), available to their subscribers. Twenty-five years ago, I found and utilized omega supplementation as a means to heal myself from a near-death case of Lyme’s disease. Many others in my town shortly followed suit and saw miraculous recovery from years’ worth of Lyme’s disease. Years later the connection between Lyme’s Disease and inflammation was established. Inflammation is the root of most disease and the omegas are extremely effective in reducing inflammation. But what most people don’t know that it is very important to have a balanced intake of omegas. Taking just one kind or taking doses that don’t line up with one another proportionally, can cause more problems as well as negating the effectiveness against inflammation. Grace’s hypnosis nutrition recommendation of Juice Plus+ Omega Blend is a solid combination of the omegas 3, 5, 6, 7 and 9 fatty acids in the correct proportions. To illustrate how strongly I feel about the importance of the omegas, I tell clients that if I had to choose only one supplement to take it would be balanced omega’s. Second and third runner up would be probiotics (for the immune system) and digestive enzymes. Digestive enzymes enable the body to uptake the nutrition found in your food. Over the age of 30, studies show your body’s production of enzymes decreases by about 13 percent every decade. So, by age 40, your enzyme production could be 25 percent lower than it was when you were a child. By the time you’re 70, you could be producing only one-third of the enzymes you need for good health. Perhaps probiotics and digestive enzymes will be offered in the future? One last comment for this Blog…. There is a reference to a “Health Agent” and I was wondering who this is…an individual that works with Grace Space Hypnosis or someone from Juice Plus? I really loved the chemistry behind this blog post! “The causes of oxidative stress are but not limited to: Cigarette smoking, insufficient antioxidants, chronic physiological or emotional stress, ozone, radiation, environmental toxins (mold, pollution, toxic topical care, pesticides) infections, over exercise without recovery and industrial vegetable oils.” This is so true and inorder to detoxify our bodies we have to consume organic food plus use plant-based healthy products on our skin.. and above all breath! Lovely blog! I have been studying Ayurveda nutrition for several years now. Obsessed with the doshas and what we should all be eating in order to enhance our mental capacity and our bodily well being – given our accurate depiction of what dosha we are constitutionally. We also have the philosophy that “if we’re nutrient deficient then we are not functioning at our highest potential.” Now that I’m studying Hypnotherapy too.. I am thankful for this article… that I can maintain my belief in the power of foods! I am so grateful that I chose these plant concentrate supplements for myself and my family. It just gives me peace to know that even on the days that we are grabbing food on the go with our busy lifestyle, that there is not a day that goes by that we don’t get the nutrients of 30 fruits and vegetables. That alone helps take some additional stress off this mama! what we feed our bodies and minds are key to how we function everyday. I think we can all agree that having a convenient way to get more nutrition into our daily regimen is a good thing. Wow!! I want to try these plant concentrates. If our bodies are satiated by proper nutrition we are less hungry and less likely to grab for those empty calories. Thank you for sharing. This is incredible I have been looking into this more and more for my dog actually. He had a tumor on his spine and we have been doing everything we can to make him better/more comfortable AND to really watch out for ourselves. Thank you so much for all the details! This is exactly what I was looking for! I’ve been interested in nutrition since I went vegan. And so interesting that they can squeeze 30 servings of veggies and fruits into one capsule, because even as a vegan, it IS challenging to eat 10 servings everyday. Even though all I eat is plant-based, 7 to 13 servings every single day seems quite a lot of food! Thanks for this post, Grace!